Create special moments with friends and family this Christmas by preparing a festive menu which includes a selection of items from Lidl’s delicious Deluxe range and fresh every day products. 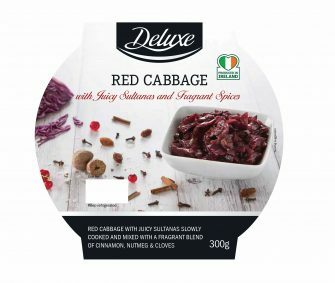 The impressive Deluxe range offers all the Christmas classics such as Christmas Pudding and Cranberry and Port Sauce to complete your festive feast as well as unique products such as Duck Sausages and Canadian Lobster tails and Turkey, Ham and Brie Pizza for those looking for something more alternative. Serving fish as an entrée or starter is a great addition to your Christmas menu and Lidl’s extensive Deluxe Seafood range will inspire you to create some tasty dishes of your own. For a larger gathering, try the richDeluxe Salmon Side with Herb Crust (600g, £5.99) or for lighter bites packed with flavour, King Scallops with Smoked Herb and Garlic Butter (200g) and Wild Atlantic Prawns with Smoked Garlic and Herb (200g). The star of Christmas has to be the turkey and Lidl has a selection of turkeys available in a range of sizes, including the Deluxe Fresh Northern Irish Turkey Crown which can be served with Deluxe Winter Seasonal Stuffing (£300g, £2.49) on the side. 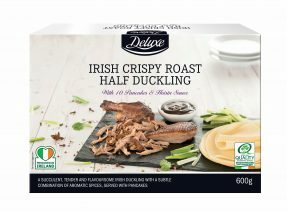 As an alternative to the traditional turkey, Lidl has a delicious selection of meats which would make mouth-watering main courses, including Deluxe Irish Crispy Roast Half Duckling (£600g), Deluxe Irish Stuffed Carvery Lamb Leg (1.5kg) and Deluxe Part-Boned Chicken Breast with Black Pudding and Apple Stuffing (480g). 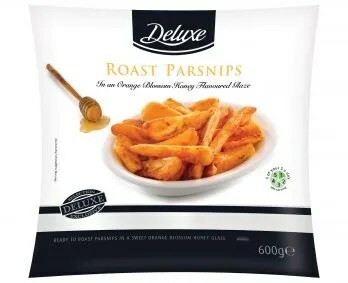 Lidl has a daily selection of vegetables to accompany the main event such as well as pre-prepared Deluxe Red Cabbage (300g, £1.99) and Deluxe Honey Roasted Parsnips (£600g, £1.49), but no Christmas dinner is complete without the roast potatoes. 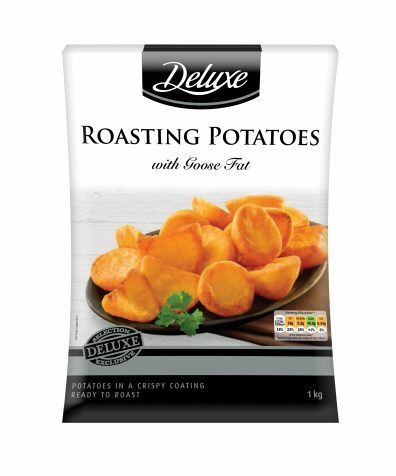 Try making your own by using Deluxe Irish Duck Fat (180g, £1.79) to make them extra crispy or for a helping hand pick up the Deluxe Roast Potatoes in Goose Fat (1kg, £1.29). For those with a sweet tooth, dessert will be an epic finale of delightful treats to tantalise the taste buds. Family favourites include Deluxe Sticky Toffee Pudding (450g, £1.99) and Deluxe Fresh Banoffee Pie (450g, £2.99) or you could opt for a more unusual Deluxe Salted Toffee Pavlova (400g, £3.49). Round off your evening by offering guests a supper of cheese and wine by the fireside. 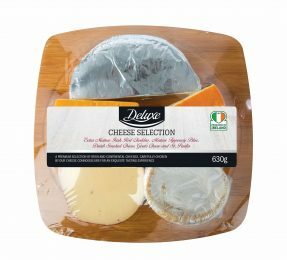 Try Lidl’s Deluxe Cheese Platter (250g, £1.99) and Deluxe Mature Blue Stilton in a Pot (225g, £3.79) served with Deluxe Premium Assorted Oatcakes (250g, £0.99) and Savoury Conserves for Cheese Assortment (100g, £0.99) for anextra rich flavour. Then accompany your cheese with a selection of cooked meats such as Deluxe Salami on Wooden Board (250g, £2.99) or the Deluxe Spanish Ham Platter (120g, £2.79). Lidl’s Master of Wine, Richard Bampfield, has hand selected a number of white and red wines to complement each course – from a crisp Sancerre (750ml, £8.99) to a full-bodied Rioja Reserva (750ml £5.99) and bring the evening to a close with a glass of Port (500ml, £6.19). Previous articleNineteen inspirational young people. Seven glittering award categories. One iconic venue. Festive VIPs at Ballyhackamore’s Christmas Family Fun Day!